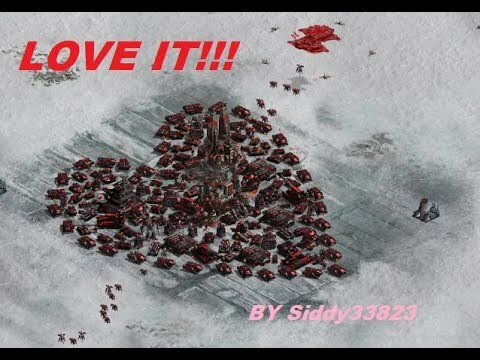 War Commander - Black Widow (40) Love Day Base. It Can Payout 10k Medals!! Good job Kixeye love it!! This is misleading... can earn 10K with an emphasis on can. Got a unit I already had and 1 Million Thorium on second hit. Why should I keep hitting these for medals? i got medals 4 out of 6 times so far. for a base that easy to hit with instant repair in one hit why wouldnt you hit them. What units did you use for instant repair? Looks like either phalanx or technicals would take it out pretty easily. They are mostly for fun but they can still give out some useful stuff. The Heart Base gives newer players the opertunity to get the eTitan & e Valkyrie ( both still useful units ) and also the chance for the 10k metals. This one is even easier for really new players and it awards a War Dog for the fist one then a draw between 1,000 metals & 100,000 thorium. I didn't mean to mislead anyone. I was in a bit of a rush this morning as I had work, I didn't really think about the title at the time my bad for that. nothing wrong with the title. says clearly "can". if it said "it pays out 10k medals"....that would be misleading. P.S. I love these kinds of special bases I hope Kixeye keep putting them on the map also I did an update to this rushed video with 29 Liberators and 1 Purifier took a little damage but I am sure you guys can make that a lot better with practise. me too the only thing i should get is thor and medals but i get the valk. So.... Its just the way the prize draws work... It can't tell that you have previously unlocked an item like the eValks ... BUT once you get them ( like you did ) in the base the prize draw will know that and you will not get them again.